I had stuffed zucchini at a friends house in Greece. Just loved it. It was easy and delicious. 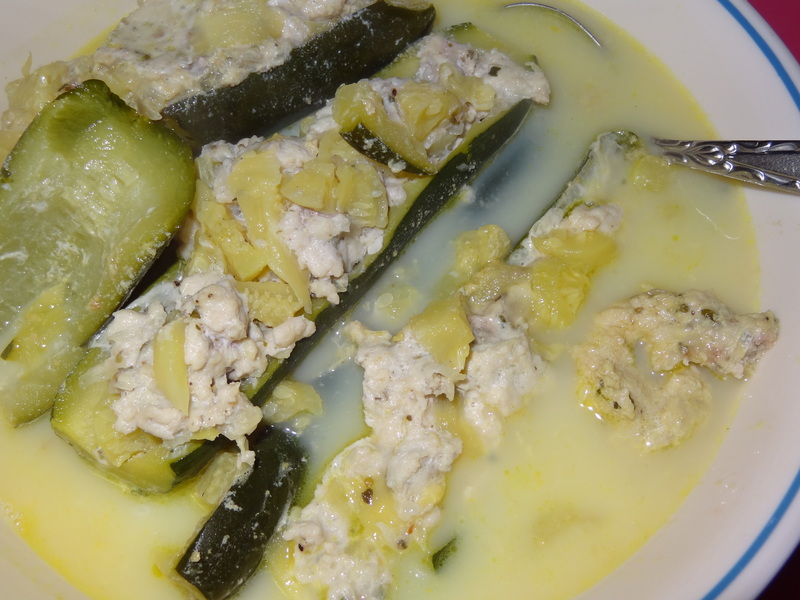 I really like the twist at the end with a egg lemon sauce on top. So I created this recipe based on my friends recipe with with olive oil and ground turkey and NO rice. 2. 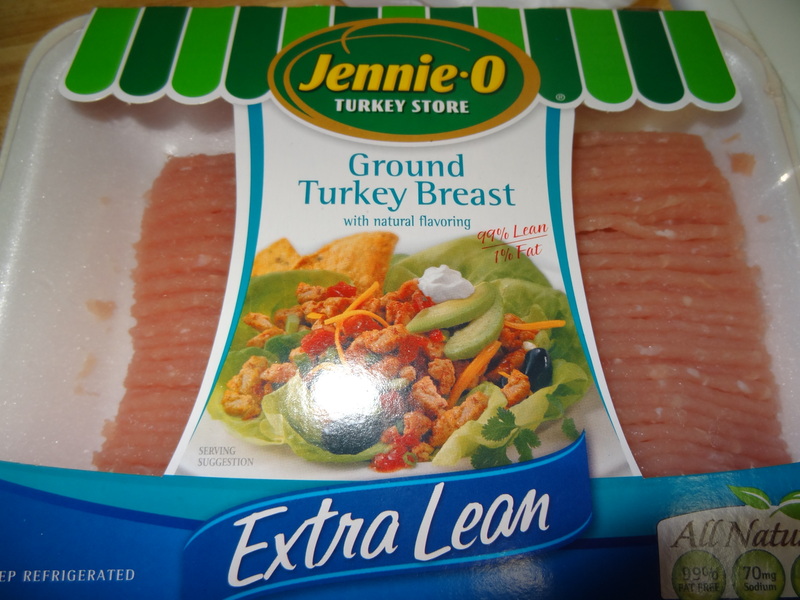 Add to the ground turkey. Mix. 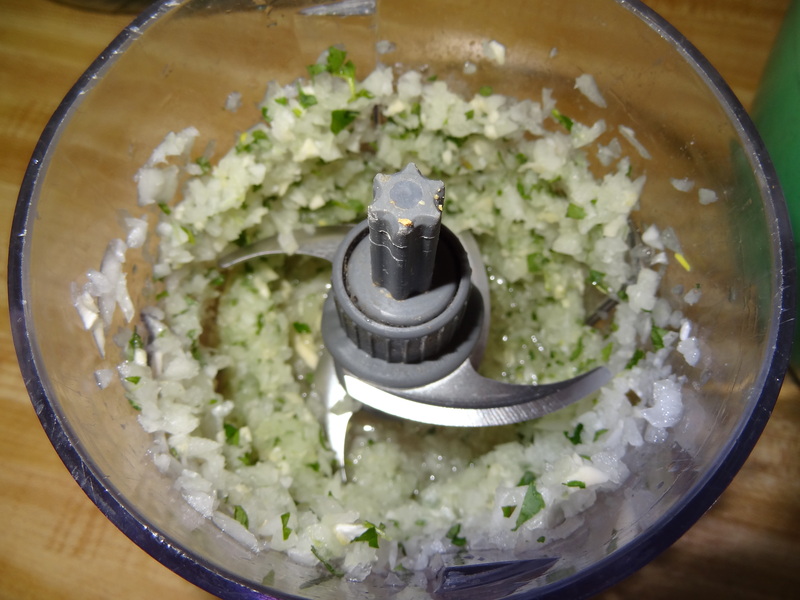 Add salt & pepper to taste. 3. 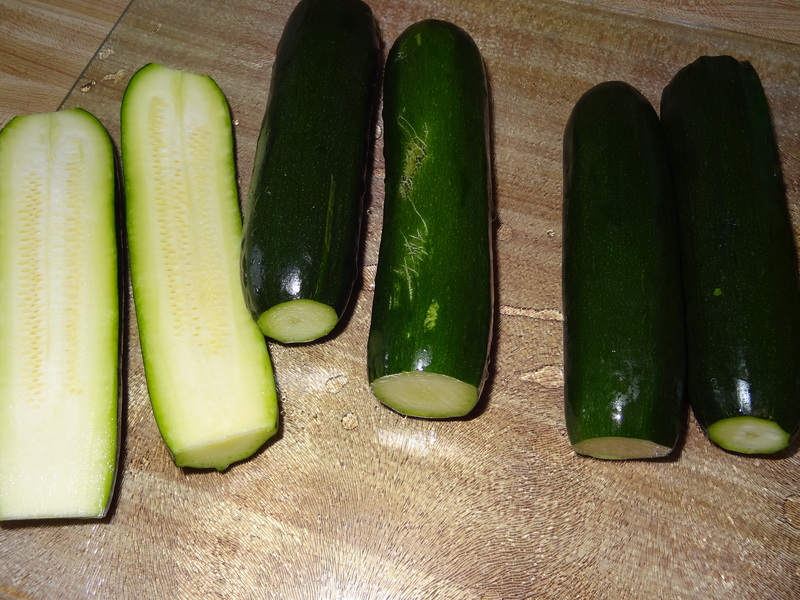 Wash your zucchini and cut in the middle. 4. 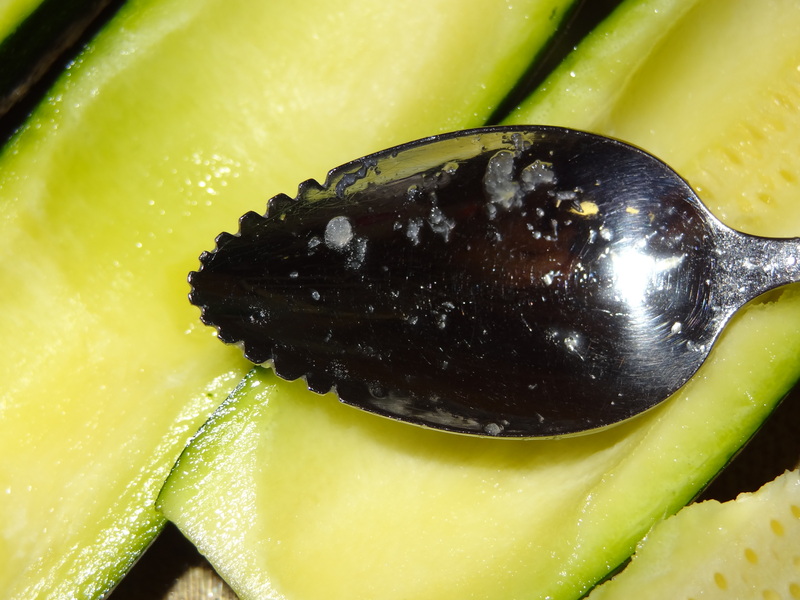 Remove the inside of the zucchini half with a spoon. I used a grapefruit spoon. 5. 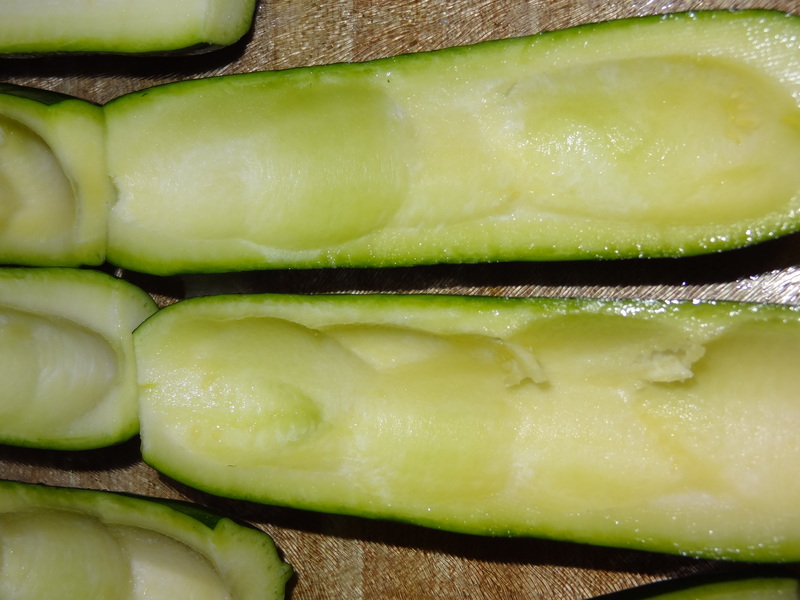 Add to the meat mixture the inside of the zucchini cut in small pieces. 6. 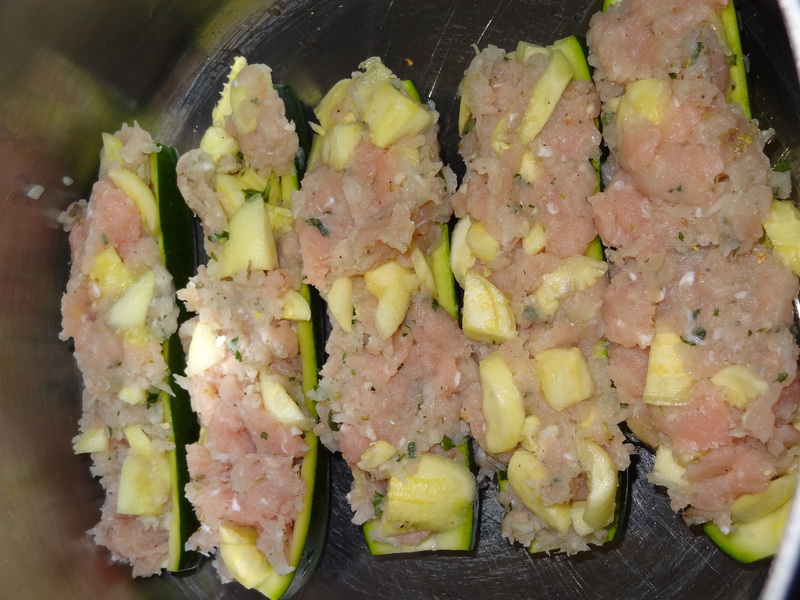 Stuff the zucchini half’s with the meat mixture. 7. In a big saucepan, add 1 tablespoon of Extra Virgin Olive oil. 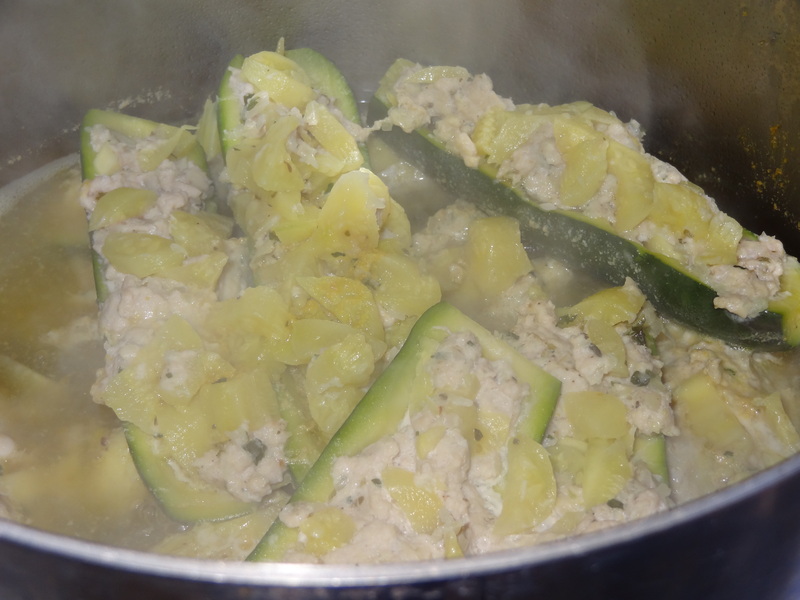 Add the zucchini ins the sauce pan. Add some chicken broth. Cook. 8. Take one egg, one lemon juice and mix in a bowl. Add little by little some chicken broth from the dish. 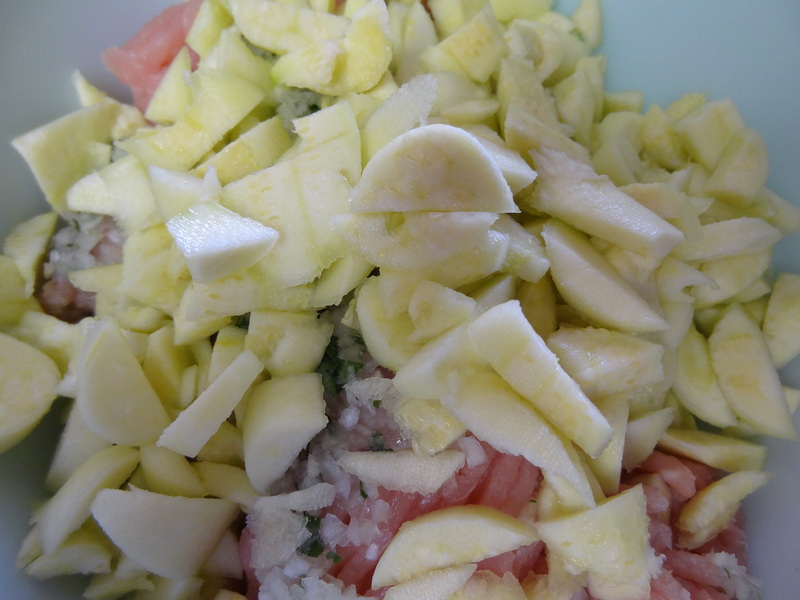 It will make a lemon sauce – add on zucchini and serve. 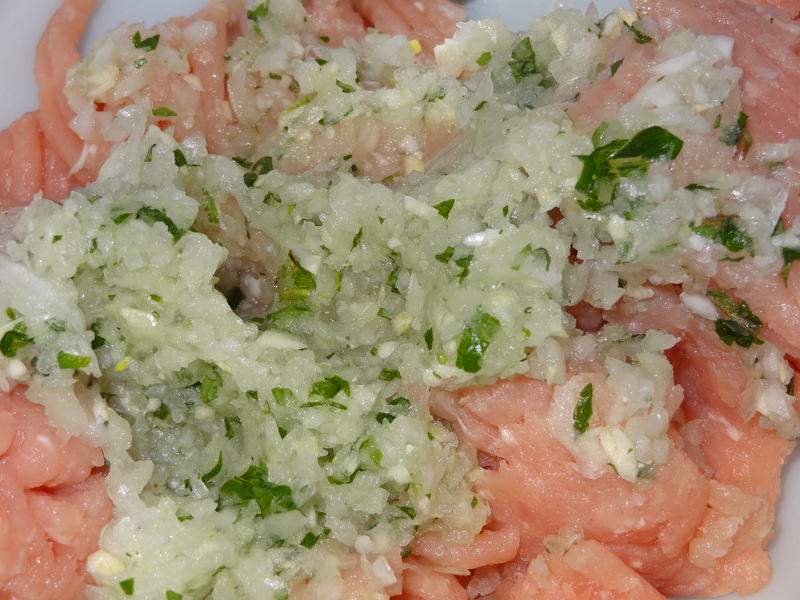 You can add rice to this dish – you would add about half a cup of rice to your meat mixture.